Spain has one of the longest coastlines in Europe (over 1600km of Mediterranean shoreline alone) plus one of the best climates on the continent. 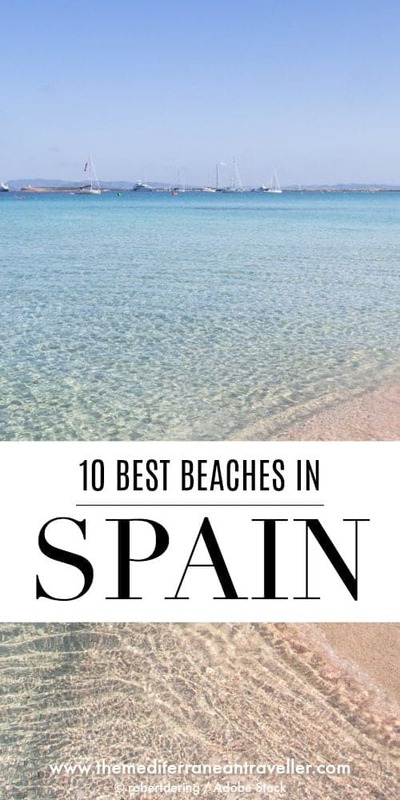 Add in the popular holiday islands of the Balearics and the Canaries, and it’s no wonder Spain and beaches go hand in hand. But which ones are the best? 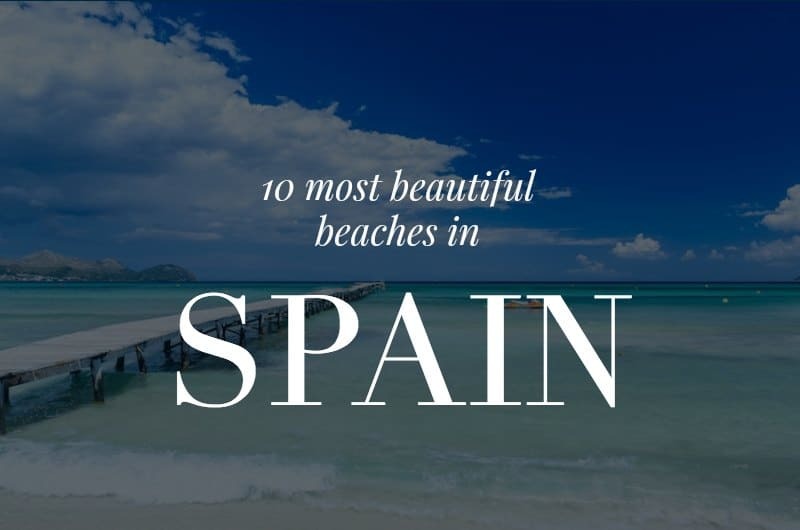 It’s difficult to make a definitive list of the most beautiful beaches in Spain, but here’s 10 to get you started. There’s a beach for everyone here, from volcanic black sand beaches in the Canary Islands, to the translucent water and soft sands of the Balearics, to the wilder shores of Galicia. 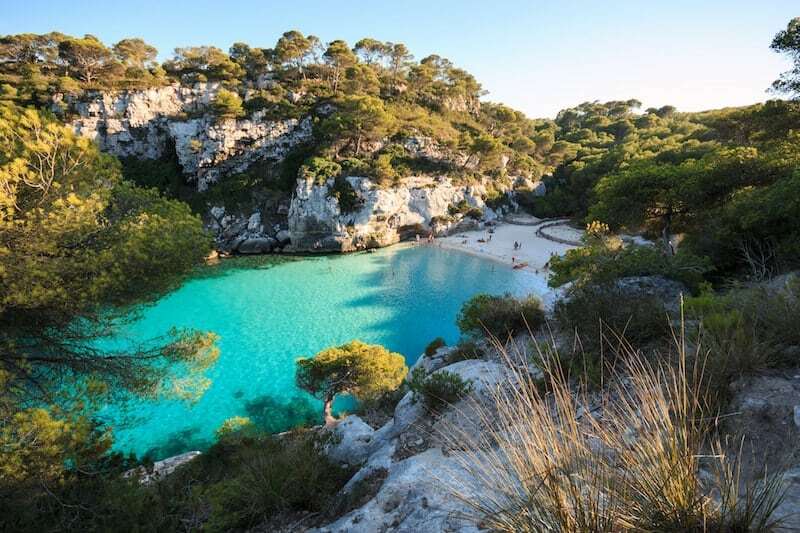 The twin bays of Macarella and Macarelleta on the island of Menorca are a recognisable symbol of Balearic tourism. Both are pure heaven for views, immaculate sands, and swimming in its pristine turquoise waters. Cala Macarelleta is 20 minute a walk along the cliffs from the nearest car park, or you can access both bays by boat or walking from Cala Galdana. Pretty much every beach on the Balearic island of Mallorca is incredibly beautiful, which makes it very hard to pick just one. 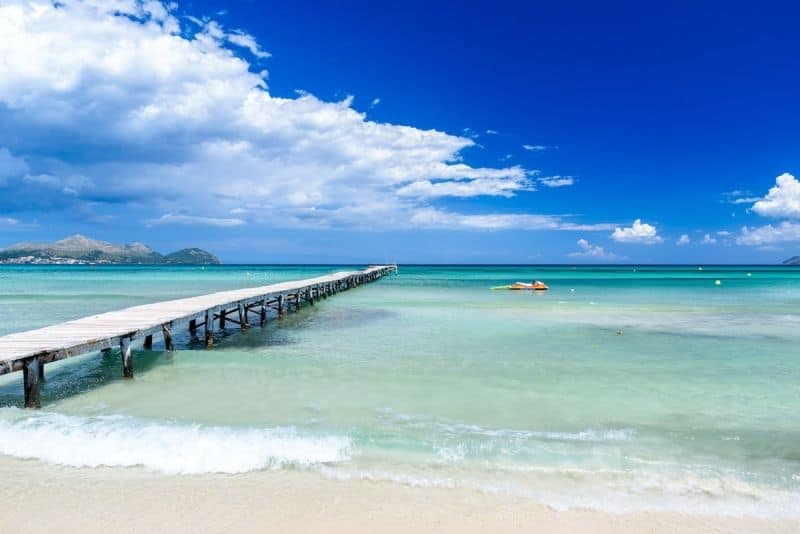 But dreamy Playa Muro on the northeast coast of the island, not far from Alcudia, is 6km of bone-fine powdery sand and Blue Flag turquoise waters. Its size means it’s less crowded that some of the more well-known beaches on Mallorca, with both organised and wilder sections. 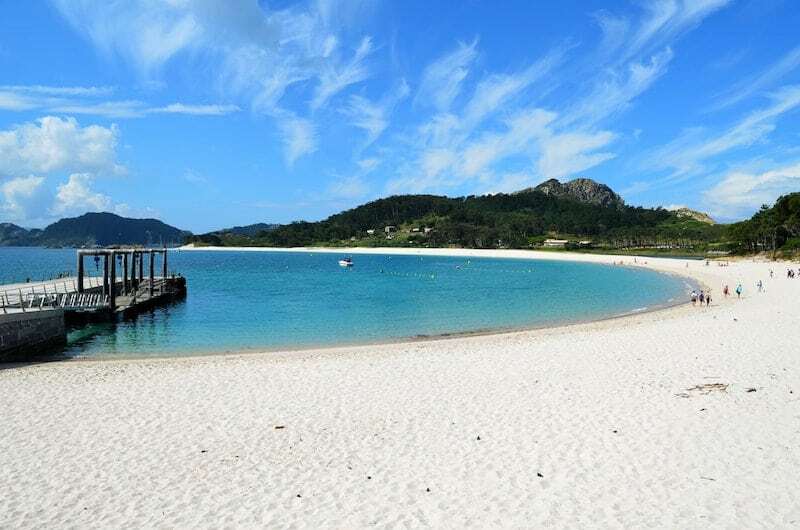 This iconic beach on Spain’s Galician coast is officially called Praia de Augas Santas (the Beach of the Holy Waters). 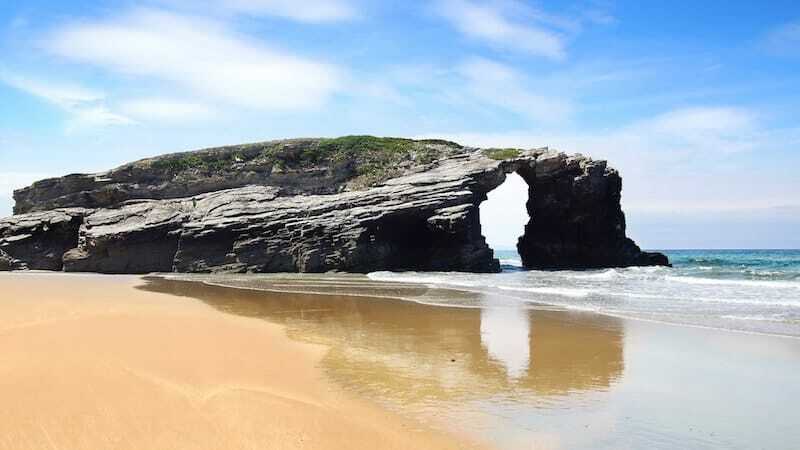 But it’s popularly known as Cathedrals Beach for the many stacks, arches and caves that grace the beach, and which you can only access at low tide. To help preserve this epic beauty, ticket reservations are now required to visit (bookable up to 30 days in advance). 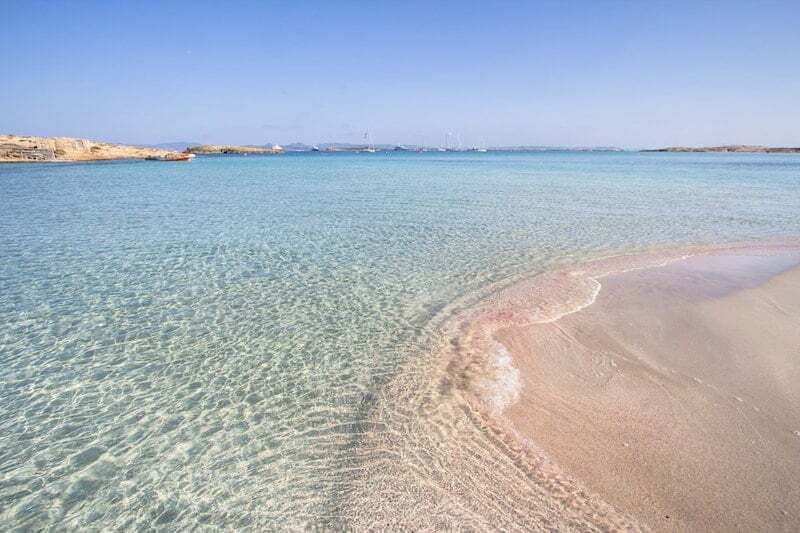 If you’re looking for idyllic beaches with translucent waters and powdery soft sand then the Balearic island of Formentera is the one for you. The shallow waters of Ses Illetes are popular with those in the know, who make the short ferry ride over from Ibiza to this quiet little island for its beauty and simplicity. The Canary Islands in the Atlantic Ocean, which are closer to Africa than mainland Europe, are volcanic in nature which means spectacular geology and some truly unusual beaches. 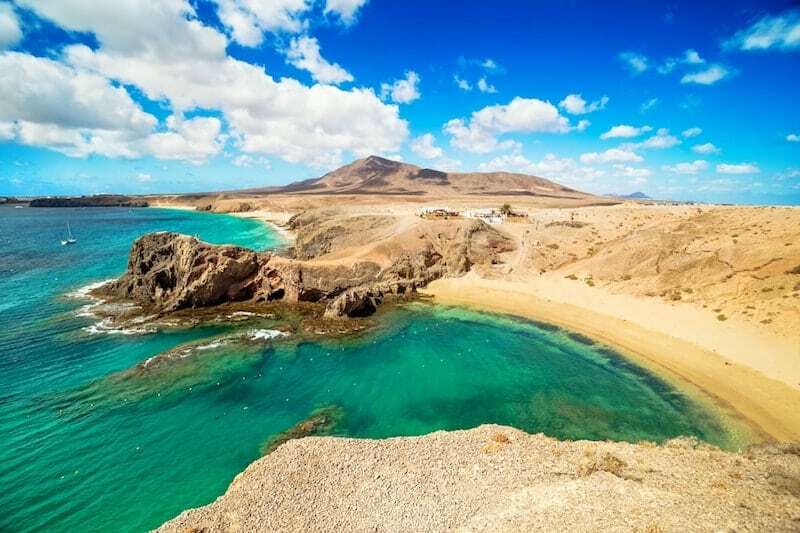 One of the picks—and one of the most popular—is Lanzarote’s stunning Papagayo. Famed for its sheltered yellow sands and emerald waters which are perfect for families, Papagayo is actually a series of small bay separated by volcanic headlands. Visit in the evening for excellent sunsets. 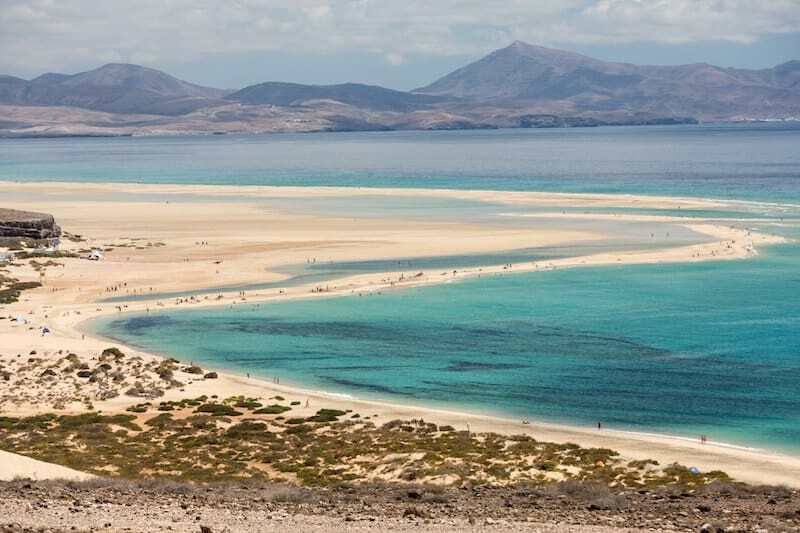 The Canary island Fuerteventura is the place to go for year-round sunshine and sandy beaches. It’s the nearest of the island group to Africa, and plenty of the Sahara seems to end up blown onto this windy little island. No filter is needed for photos of these idyllic beaches. The Jandia Peninsula in the south of the island has the best of them all, culminating in the otherworldly lagoon beach of Sotavento. 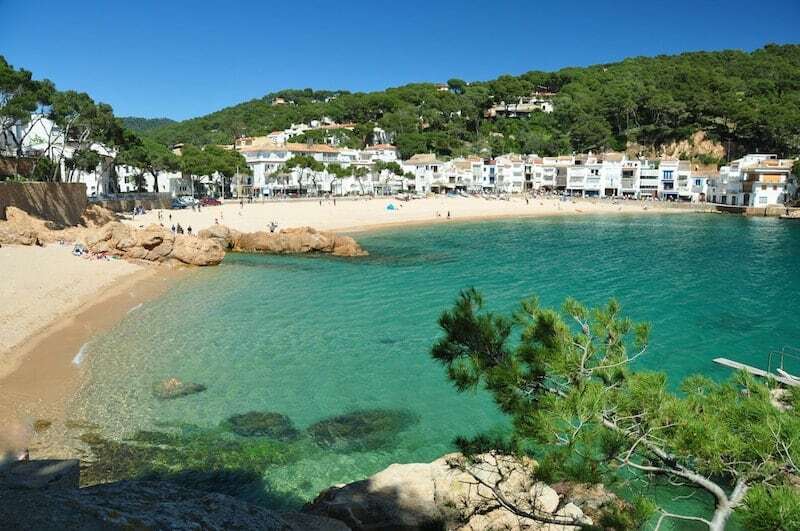 The village of Tamariu on the Costa Brava is one of the most picturesque and charming beach resorts along the Costa Brava. Tamariu is everything that springs to mind when you think of a Mediterranean holiday: a crescent of sand, calm waters, whitewashed buildings and pedestrian streets, fragrant pines, and fresh seafood. Just add a cold beer for perfection. 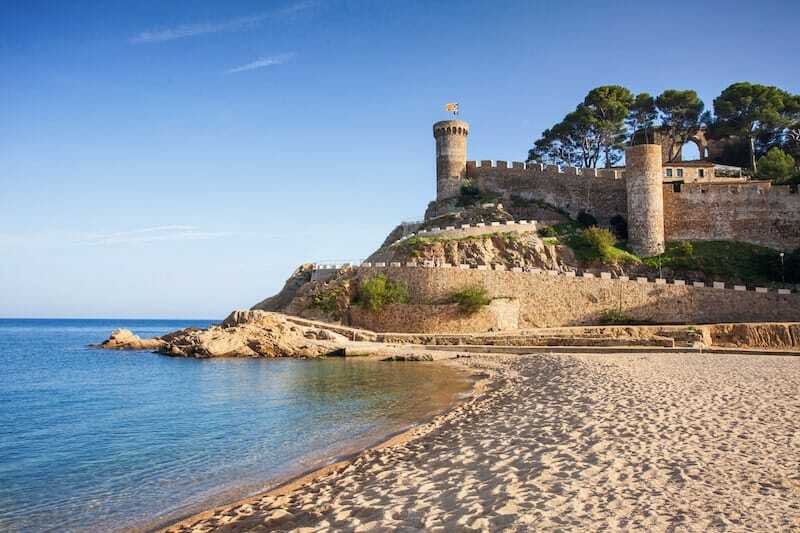 Just around the coast is the photogenic Tossa de Mar with its medieval fortress-topped golden sands. It surely has one of the most scenic settings in the Med. Thousands come to enjoy this lively seaside resort during the summer, so it’s best appreciated in the shoulder or low season if you’re not a fan of crowds. 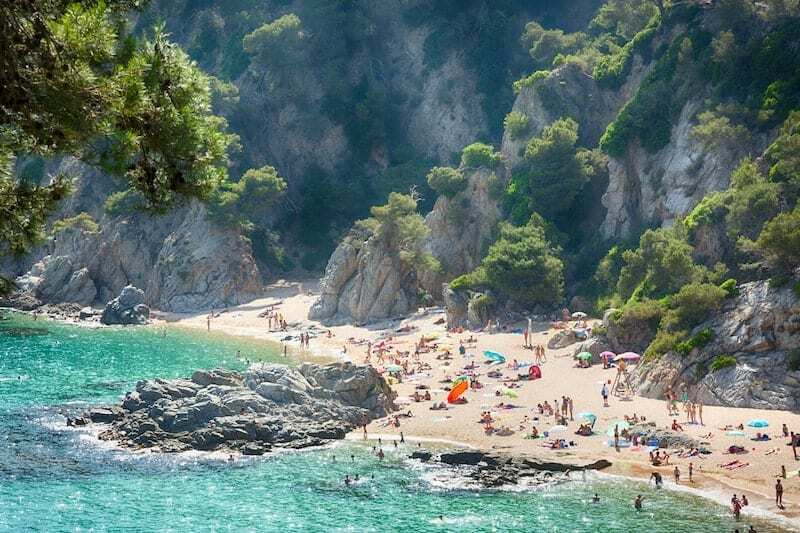 Proving that the Costa Brava is one of the most beautiful stretches of coast in Europe is the beautiful little bay of Cala Sa Boadella in Lloret de Mar. Popular with naturists, it has a more peaceful vibe than some of the bigger resort beaches in the area. As well as crystal clear seas and fine sands, there are rock formations and the Jardins de Santa Clotilde – a small shady botanic garden – behind the beach. The dramatic rocky landscape of Galicia’s Cies Islands looks like something out of an advert for New Zealand. In between towering dark rocks are spits of bright white sands and achingly blue seas. The colours are positively tropical. The whole area has been a protected national park since the 1980s.